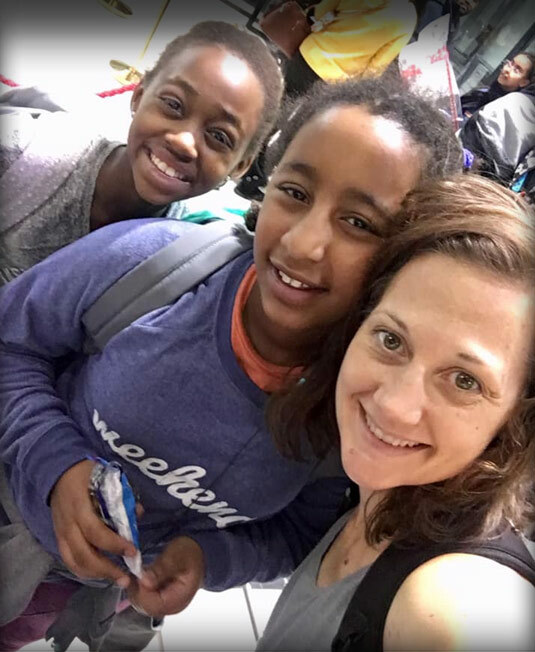 Camp Hoffman: Our Babies Are Home! That's what the post said after Laura and the girls had landed and were waiting patiently in the line for visas. And it kinda took my breath away... cuz wow - what a Holy journey He has allowed us to b part of! You guys... adoption ain't easy. And while I'd never pretend to be some kind of expert in trauma or painful life stuff - I do know that Laura and I work hard to walk through the real stuff with our kids. But the stuff we owe it to our gorgeous gifts to address. I think God intended for families to stay intact... I really do. But then... well - fallen world and all... comes along and brings with it pain, death, destruction, trauma, separation, etc... breaking up families as God intended them to be. "I see your fallen state of affairs, your brokeness, destruction and pain... and I raise you one pathway to redemption called..."
And we have been beyond blessed and privileged to sit in the midst of it and see how He redeems... time and time again. And today... by His mercy and grace alone - our babies are home! I hate I am not there with them - but I am so so so excited for them. 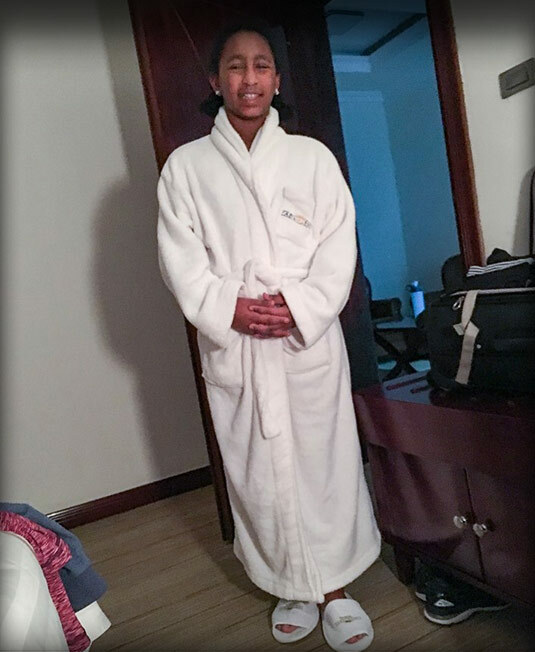 And then - just to make sure we stay grounded in the goofiness that encapsulates us - Laura sent me this picture of Meron going all the way in with the hotel robe and slippers. And I laughed til I cried... because His fingerprints are all over this whole thing. Meron and Mebbie are exactly where He wants them. And I am forever grateful for the life changing experience He has given us. God... the stories You write are untouchable in their greatness... thank you.